OnePortal is a central location where information on your organisation is collected and stored. It's the place where your point of sale sends all its data to. Manage information, customers and their accounts. 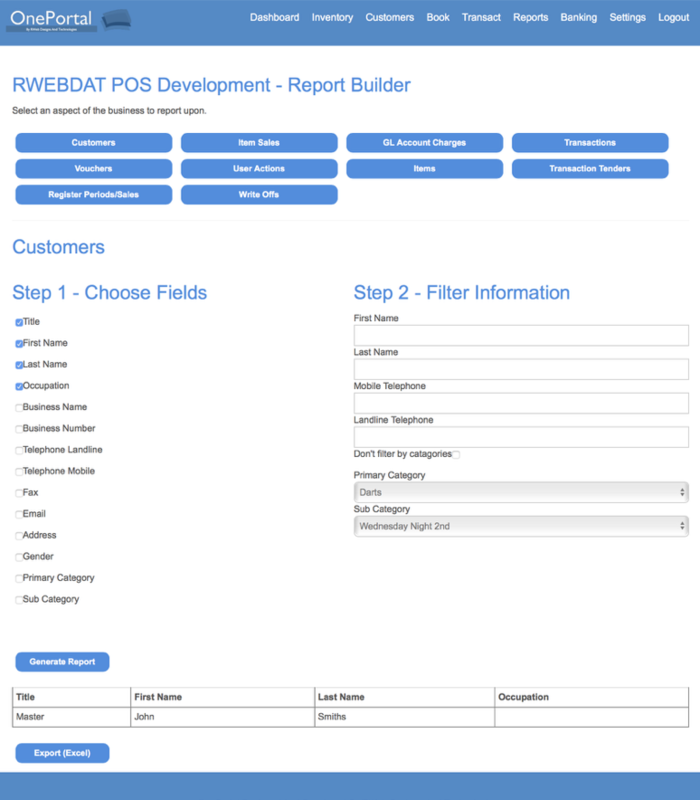 Then build and run reports, that are delivered quickly and with with ease. Our user interface is clean and simple. Easily navigate and find what you need, in fewer clicks. Our interface remains consistent through the entire platform. View all your customer information in one place. Add an account to a customer quickly and with ease. You can also view their recent transactions all from on place. Also you can add notes to a customer, to keep important information concerning them on file. 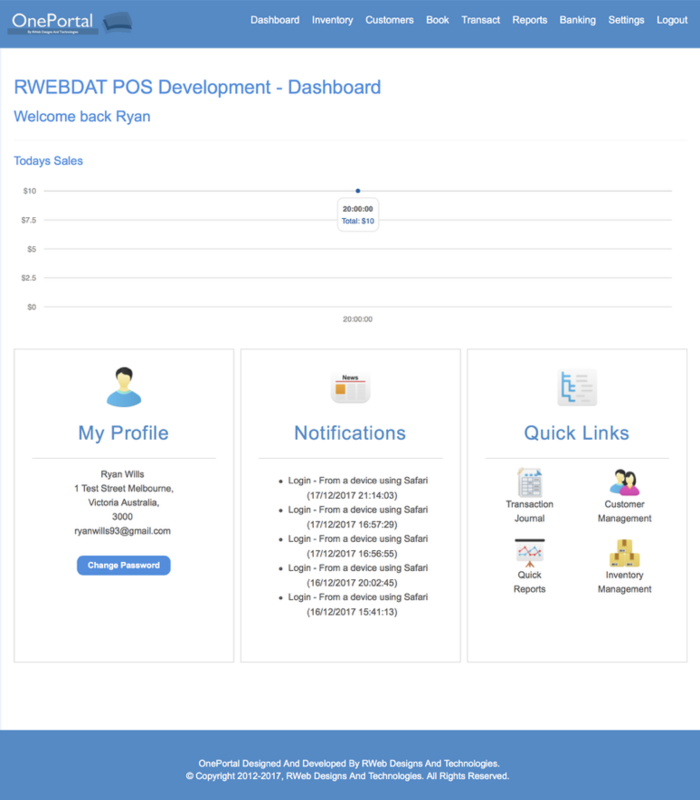 Unlike a conventional back office and customer management system, our platform is not bound by a desktop application. 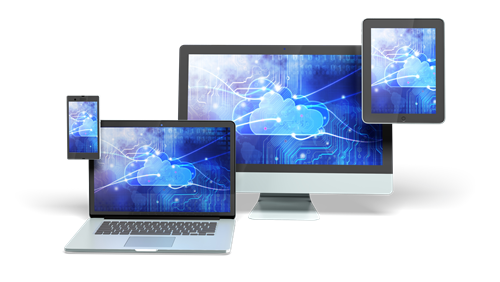 Access our platform from any device, anywhere and with no installation required. 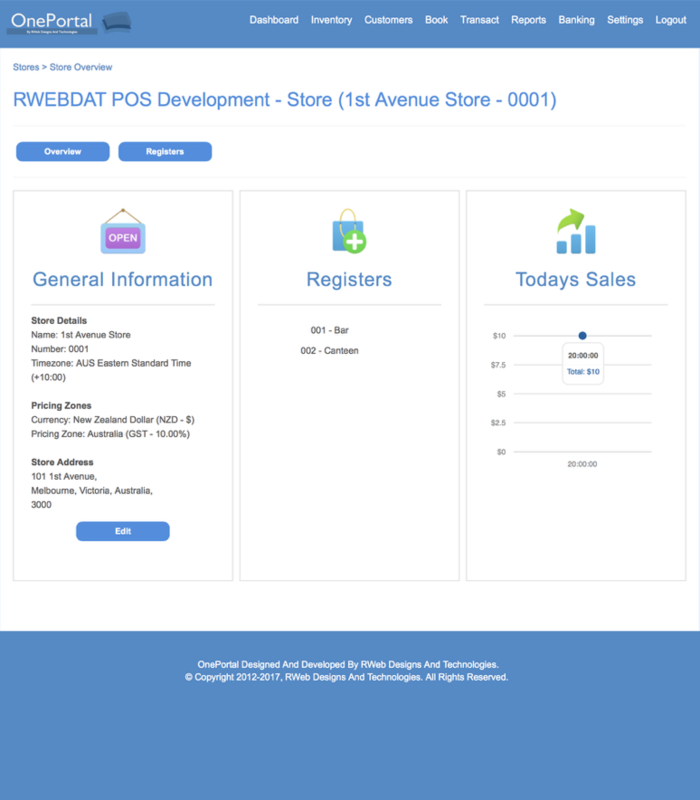 View information on a single store in one place. Add extra registers and configure them the way you want. You can enable different tender types and choose receipt printing settings. 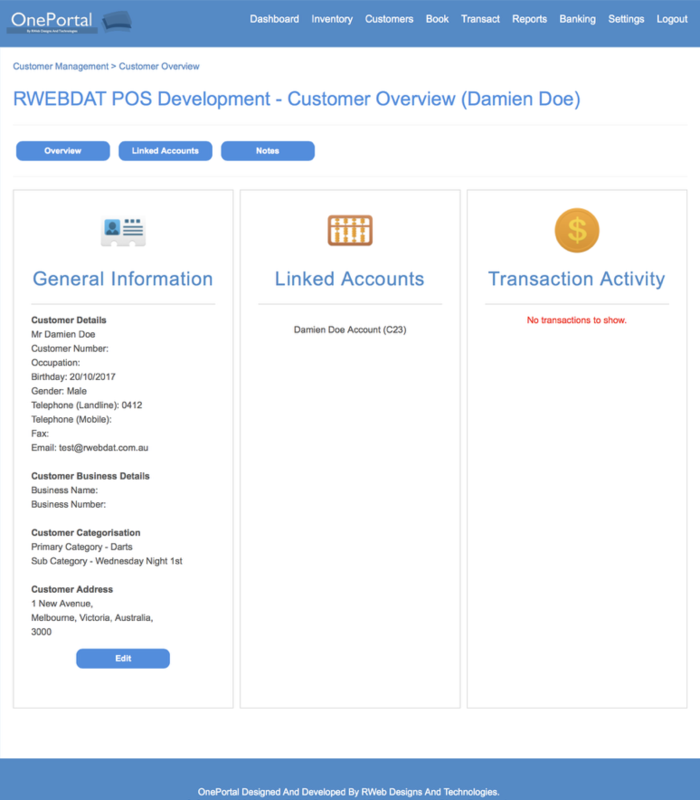 Our Point of Sale software sends all your transactional data to OnePortal; where it is stored and can later be accessed.